On the second anniversary of Demonitisation, leaders of Political parties express their opinions on the note-ban. On the second anniversary of demonetisation, West Bengal Chief Minister Mamata Banerjee on Thursday slammed the central government under Prime Minister Narendra Modi for cheating the nation with the note-ban "scam" and called this move a "disaster". She also said that renowned economists, common people and experts all agree now. Banerjee called it a dark day and tweeted, "The government cheated our nation with this big #Demonetisation scam. It ruined the economy and the lives of millions. People will punish those who did this." 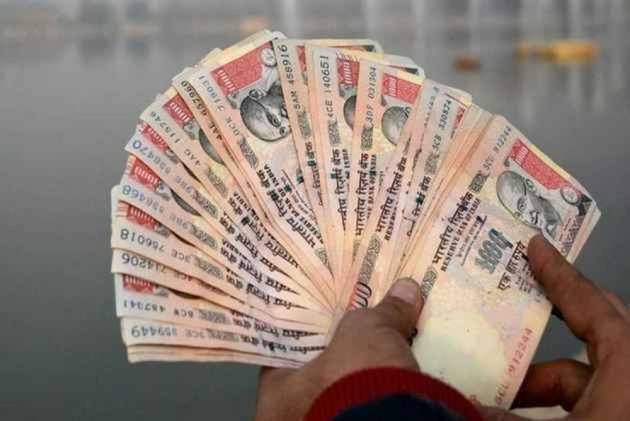 On this day in 2016, the Centre at 8 p.m had announced a ban on the currency notes of Rs 500 and Rs 1,000 in a sudden move that took everyone by surprise, restricting availability of money for the next two days and taking months to return to normal. Manmohan Singh termed demonetisation an "ill-fated" and "ill-thought" exercise. "Today marks the second anniversary of the ill-fated and ill-thought demonetisation... The havoc that it unleashed on the Indian economy and society is now evident to everyone. ""Notebandi (demonetisation) impacted every single person, regardless of age, gender, religion, occupation or creed," Singh said. Aam Aadmi Party (AAP) convener and Delhi Chief Minister Arvind Kejriwal questioned the rationale behind the Modi government's note ban move and termed it as "a self inflicted deep wound" on the Indian economy. "Though the list of financial scams of Modi govt is endless, demonetisation was a self inflicted deep wound on Indian economy which even two years later remains a mystery why the country was pushed into such a disaster ?" he tweeted. CPIM General Secretary Sitaram Yechury said Modi has forgotten what he said and it is our duty to remind him what he did to India and us Indians. "Modi & his minions claimed demonetisation will end black money, finish corruption, terminate terrorism, and bring only digital transactions. Two years later, Modi is silent. The truth is that he single-handedly destroyed the economy, lives and livelihoods," he tweeted. Union Finance Minister Arun Jaitley tweeted, "As we complete 2 years of demonetisation today, it has been established that demonetisation, a key step in a chain of important decisions taken by the Government, had a huge impact in formalising the economy." As we complete 2 years of demonetisation today, it has been established that demonetisation, a key step in a chain of important decisions taken by the Government, had a huge impact in formalising the economy. He also said that the Government has used these resources for better infrastructure creation, social sector and Rural India. "Demonetisation & implementation of the GST curbed cash transactions in a big way. With a visible increase in the digital transactions, formalisation of the economy has led to increase in the tax payer base from 6.4 million in the pre-GST regime to 12 million," he tweeted. Demonetisation & implementation of the GST curbed cash transactions in a big way. With a visible increase in the digital transactions, formalisation of the economy has led to increase in the tax payer base from 6.4 million in the pre-GST regime to 12 million.